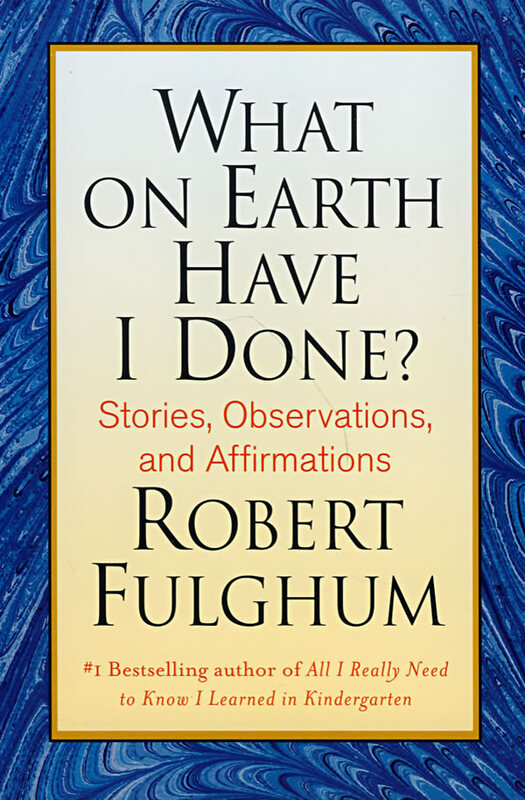 Twenty years after his All I Really Need to Know I Learned in Kindergarten became a record-breaking bestseller, Fulghum's authorial voice is still distinctive and his tone welcomingly upbeat, but this new collection of short pieces suffers from self-indulgence, roping in too many vague and inconsequential essays. The majority of the book falls into three sections, one for each of Fulghum's homes-Seattle, Moab, Utah and the island of Crete-and the strongest section is the Cretan, containing some lovely, incisive essays on his indomitable Greek housekeeper, \\\\\\\\\\\\\\\\\\\\\\\\\\\\\\\\\\\\\\\\\\\\\\\\\\\\\\\\\\\\\\\\\\\\\\\\\\\\\\\\\\\\\\\\"The Invincible Ioannoulla.\\\\\\\\\\\\\\\\\\\\\\\\\\\\\\\\\\\\\\\\\\\\\\\\\\\\\\\\\\\\\\\\\\\\\\\\\\\\\\\\\\\\\\\\" Elsewhere his writing is well-meaning but feather-light while taking on topics like holidays, history, \\\\\\\\\\\\\\\\\\\\\\\\\\\\\\\\\\\\\\\\\\\\\\\\\\\\\\\\\\\\\\\\\\\\\\\\\\\\\\\\\\\\\\\\"players\\\\\\\\\\\\\\\\\\\\\\\\\\\\\\\\\\\\\\\\\\\\\\\\\\\\\\\\\\\\\\\\\\\\\\\\\\\\\\\\\\\\\\\\" and the conversations of strangers; even in the midst of terminal naivety, however, Fulghum's able to land an unexpected, resonant thought: \\\\\\\\\\\\\\\\\\\\\\\\\\\\\\\\\\\\\\\\\\\\\\\\\\\\\\\\\\\\\\\\\\\\\\\\\\\\\\\\\\\\\\\\"I walked on with the dog of my imagination running unleashed through the bushes of my brain, looking for a place to unload.\\\\\\\\\\\\\\\\\\\\\\\\\\\\\\\\\\\\\\\\\\\\\\\\\\\\\\\\\\\\\\\\\\\\\\\\\\\\\\\\\\\\\\\\" Though these worthwhile passages and brief, shining moments make Fulghum's dissolution into wispy koans (\\\\\\\\\\\\\\\\\\\\\\\\\\\\\\\\\\\\\\\\\\\\\\\\\\\\\\\\\\\\\\\\\\\\\\\\\\\\\\\\\\\\\\\\"Go on. Escape over the walls of your asylum.\\\\\\\\\\\\\\\\\\\\\\\\\\\\\\\\\\\\\\\\\\\\\\\\\\\\\\\\\\\\\\\\\\\\\\\\\\\\\\\\\\\\\\\\") all the more disappointing, fans of Fulghum's storytelling will find much to savor.